CINCINNATI — When it comes to walkability, Greater Cincinnati might not be the worst, but we have many more steps to take toward being truly pedestrian-friendly. And until we do, access to jobs and financial stability could be unbalanced. That’s according to a recent study out of the George Washington University Smart Growth America institute, which looked at the 30 largest metro areas in the country and measured their “social equity” — that is, how well the city’s services and infrastructure serve the public across all income levels and social classes — based on housing costs, transportation costs and access to jobs and education. 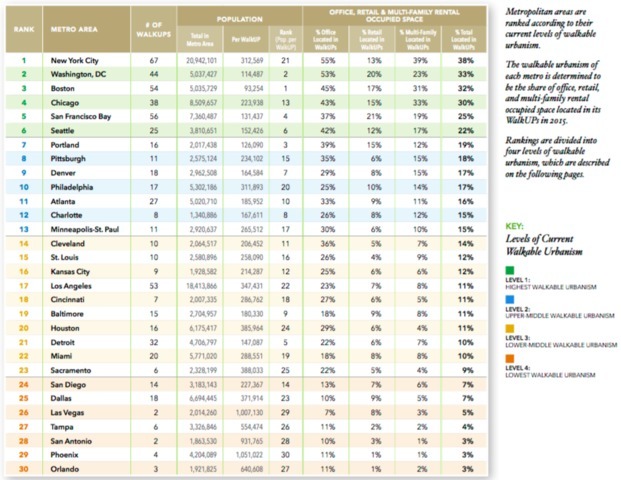 Cincinnati scored 19th in the study overall, with a rank of 18th among the sample as far as walkability goes. Again: not the worst, but also not great. What does “walkability” even mean? The leader in determining a city’s “walkability” is a real estate and rental website called Walk Score , which uses a patent-pending algorithm to measure how easy it is to get to work, run errands or find dining and entertainment within walking distance. Cincinnati neighborhoods combine to an average Walk Score of 50, which is “somewhat walkable,” according to the site. The SGA study combined a city’s Walk Score with the average number of street intersections that sit within a square mile (building density) and the amount of office and retail space in the neighborhood. The study counted (but did not identify) seven walkable urban places in Cincinnati. Some cities included in the study counted as many as 60 or more. The study set out to test the notion that the more walkable a city, it's often less affordable to live there. This concept in itself isn’t really new: Cities like New York, Washington, D.C., Boston, San Francisco are known for low reliance on automobiles but higher costs of living than most of the country. Turns out, though, that’s not really the whole story, the study determined. The study uses New York as its primary model for demonstrating this finding. The SGA found that housing costs take up nearly half (47 percent) of one’s income. But transportation costs make up only 17 percent, and access to employment is through the roof compared to other cities. By contrast, Cincinnati has considerably lower housing costs — just 35 percent of one’s income — but nearly double the transportation costs (29 percent), and the rate of offices, retail and multi-family rental residences located in Cincinnati's most walkable, urban neighborhoods are less than half the Big Apple's, the study reported. Source: Smart Growth America. Click or tap to enlarge. In its analysis, the study categorized Cincinnati as “lower-middle walkable urbanism,” with comparable cities including Cleveland, St. Louis, Kansas City, Baltimore, Detroit and Sacramento. Interestingly, given the ongoing conversation surrounding Cincinnati's fledgling streetcar project, the study attributed these cities’ lag in developing walkable urban neighborhoods to “a historic lack of rail transit infrastructure” and “local consumer perceptions that walkable urbanism, especially rail-based, transit-oriented development, is not compatible with their traditions. “Even so, as a group they are achieving modest walkable urban rental premiums, which indicate there is a pent-up demand,” the report stated.